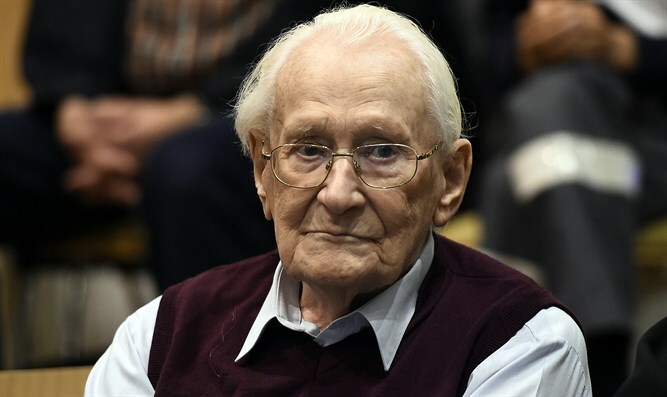 Oskar Groening dies before beginning prison sentence for role in murder of 300,000 Jews. Oskar Groening, the 'Bookkeeper of Auschwitz,' died Monday, Der Spiegel reported. Groening, 96, was convicted for the crime of accessory to the murder of 300,000 Hungarian Jews at the Auschwitz death camp in 2015. He was given a four-year prison sentence. Groening had appealed his sentence multiple times, citing his health and age. His latest appeal was submitted in early March. He died before beginning to serve his sentence. The 2015 trial was one of the last high-profile trials against one of the perpetrators of the 1941-45 Nazi Holocaust of the Jewish people.